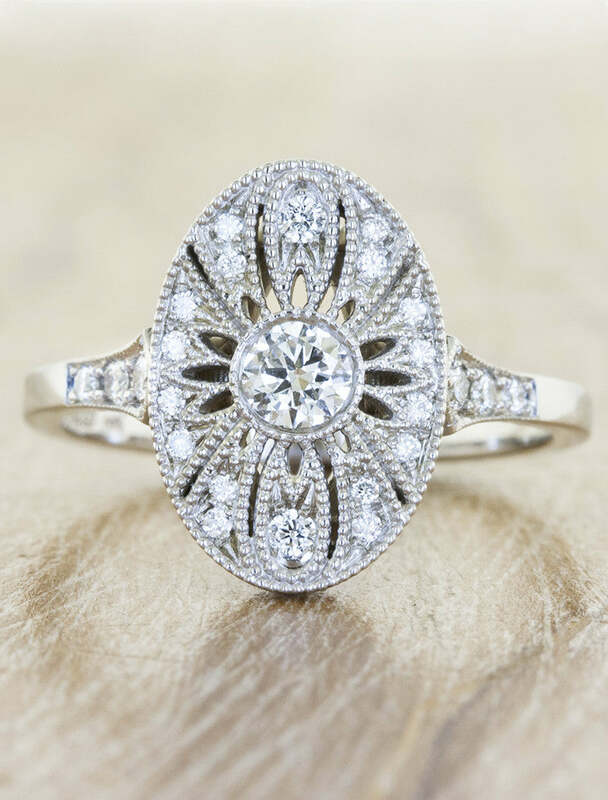 Annabelle from Ken & Dana Design: unique engagement ring round cut diamond ring (0.70 ct) with halo of 0.8 cts. 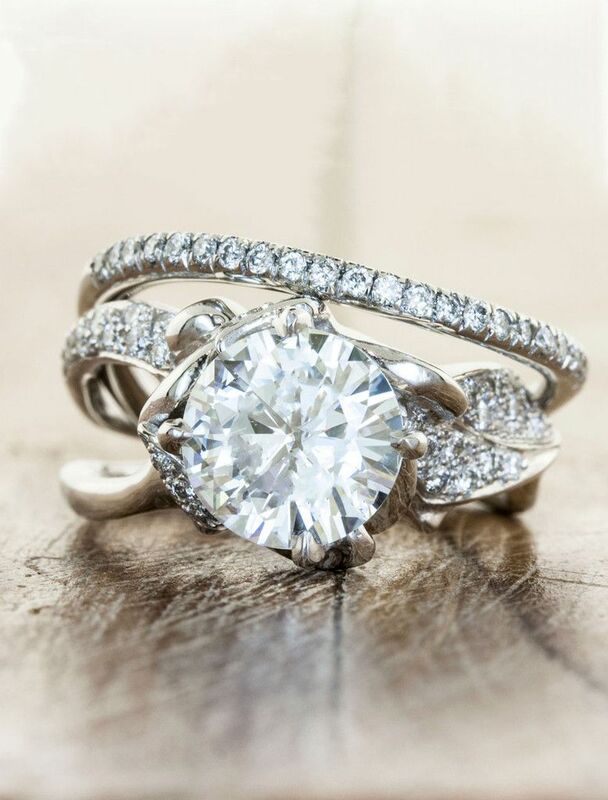 Platinum band. 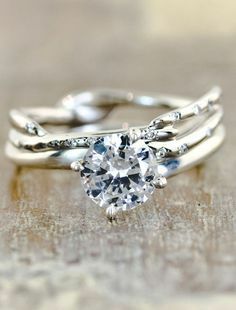 Ken and Dana Design "Verity": a halo oval diamond engagement ring with double arches on a platinum "
Unique conflict-free round diamond engagement ring paired with the Selene wedding band - Ken & Dana Design. 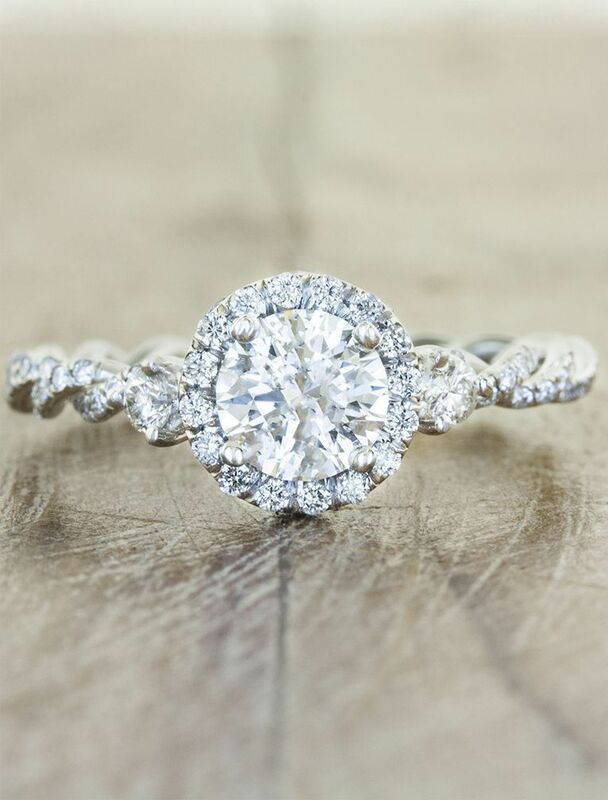 Unique custom diamond engagement rings paired with matching wedding bands. 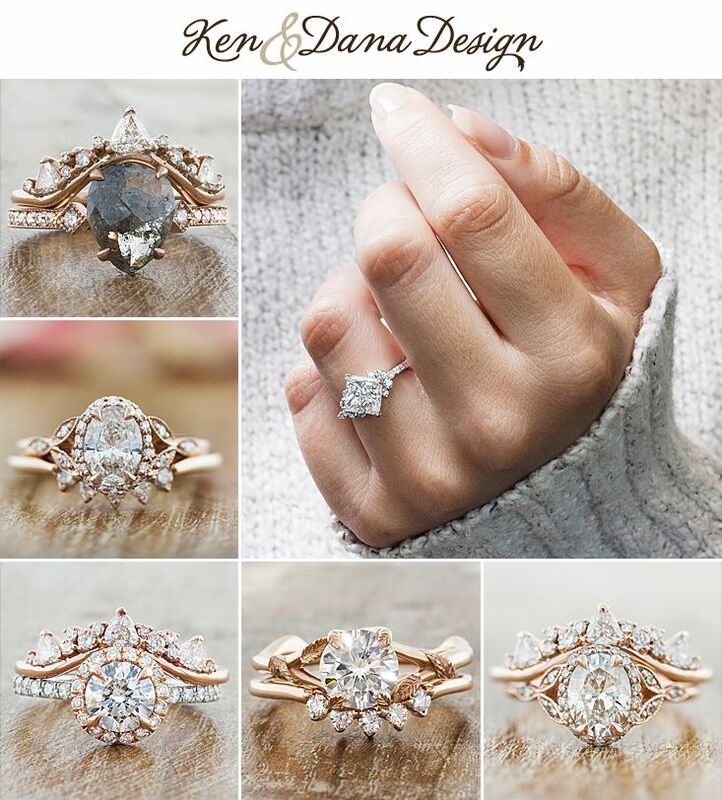 by Ken & Dana Design in NYC. 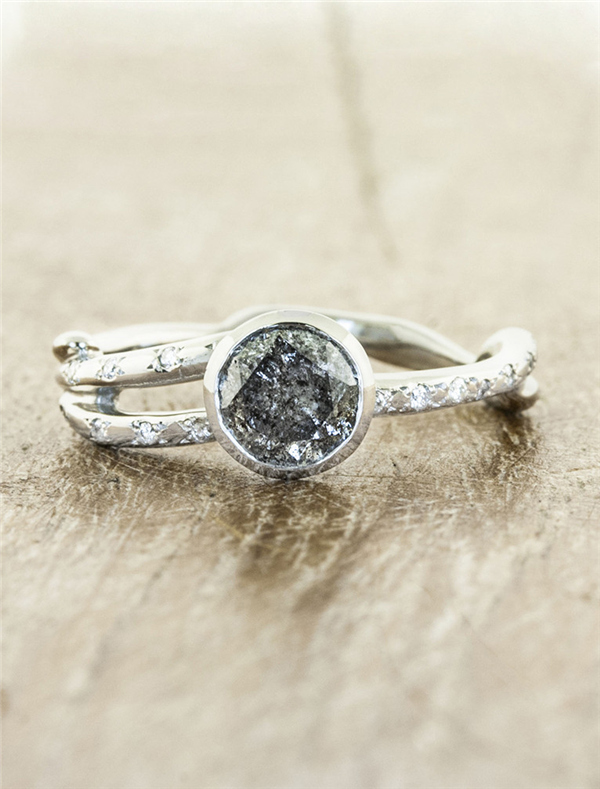 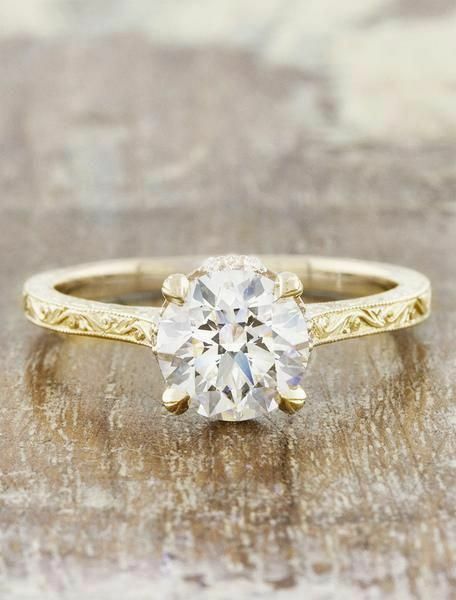 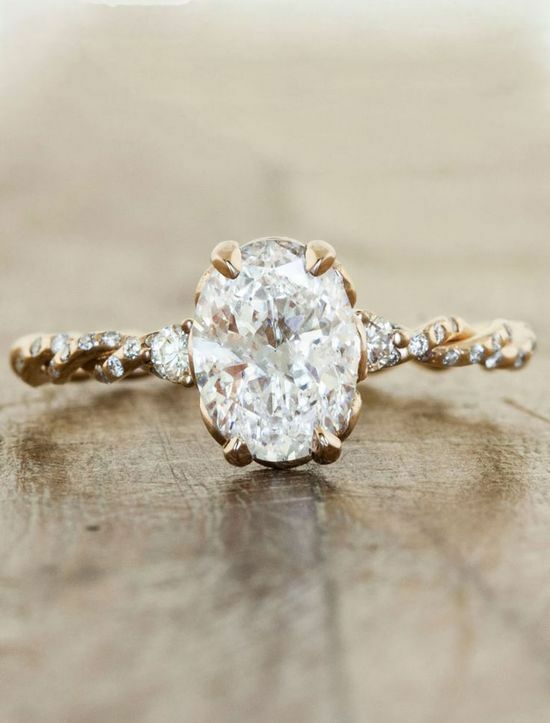 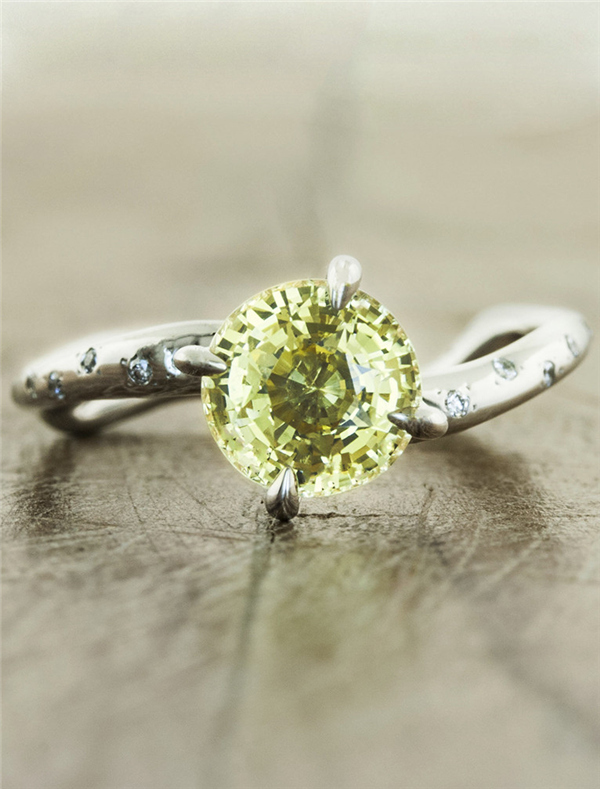 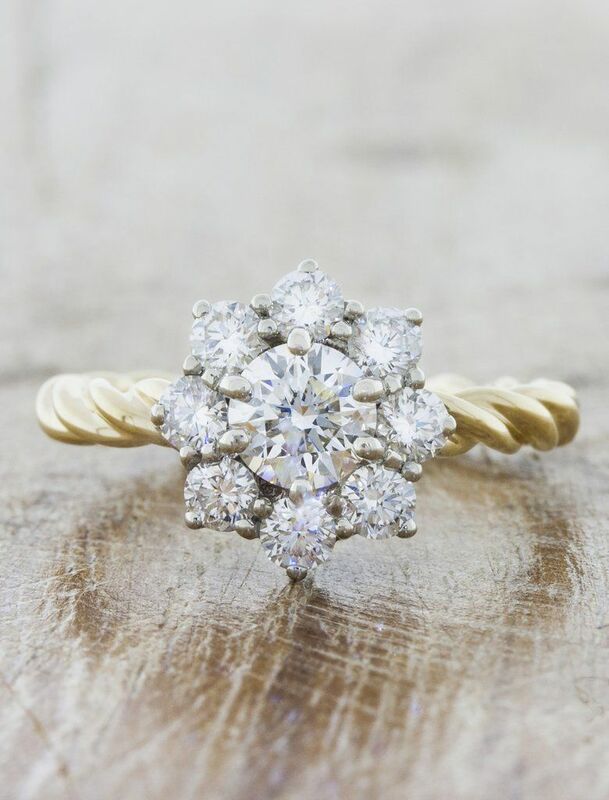 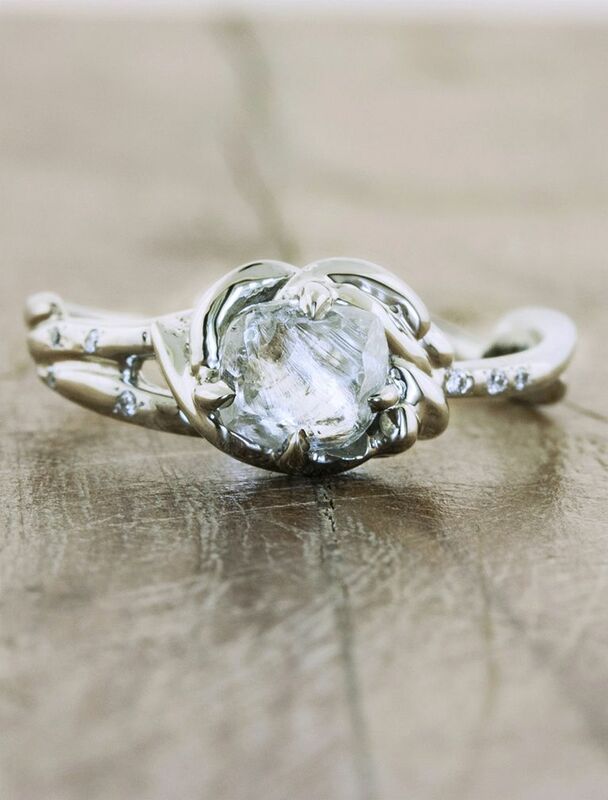 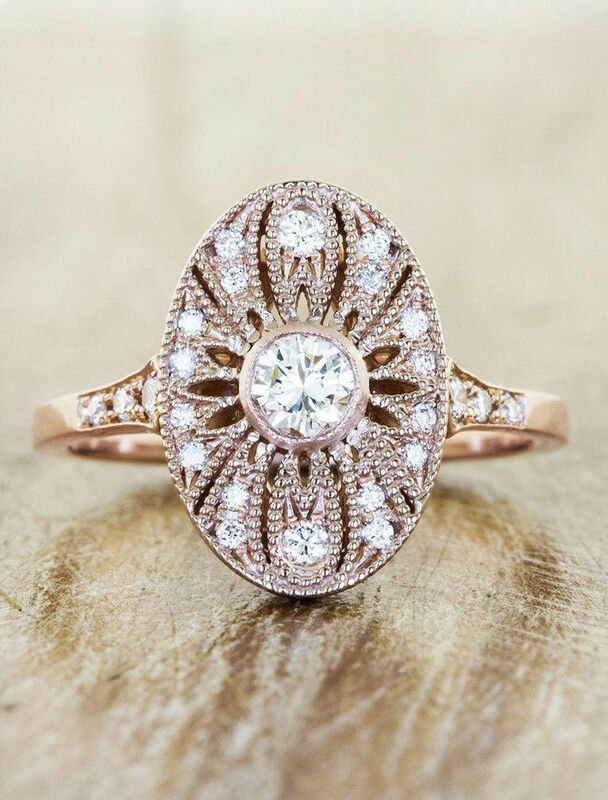 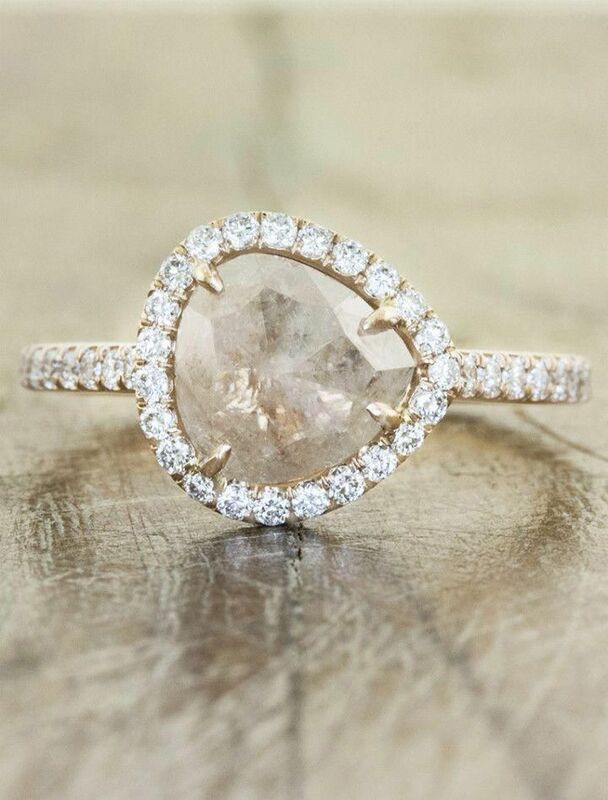 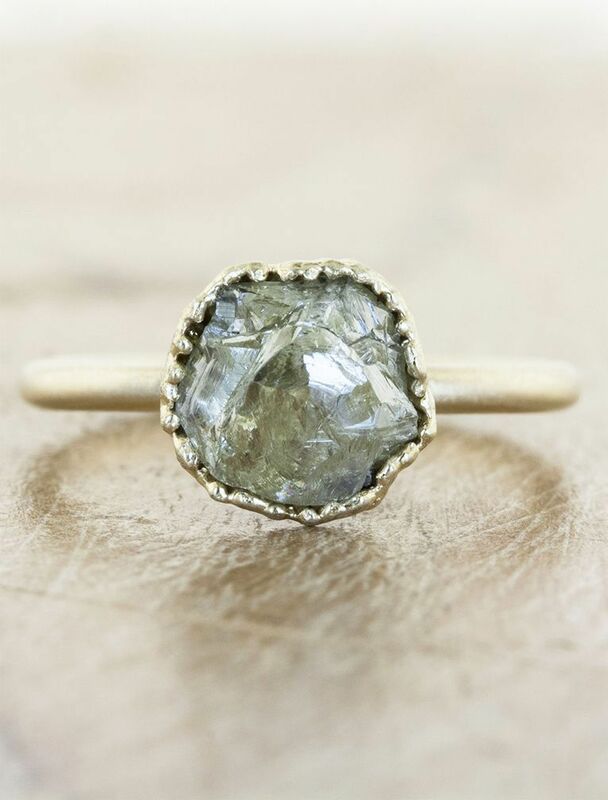 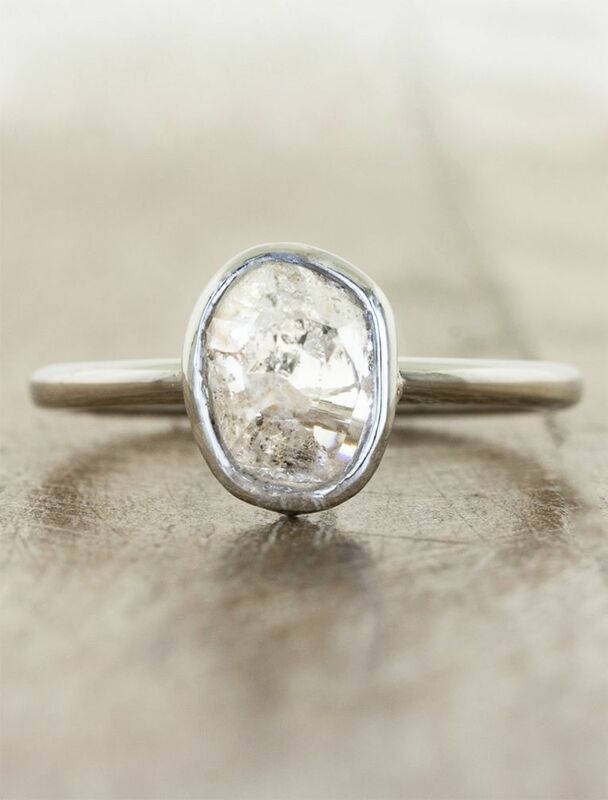 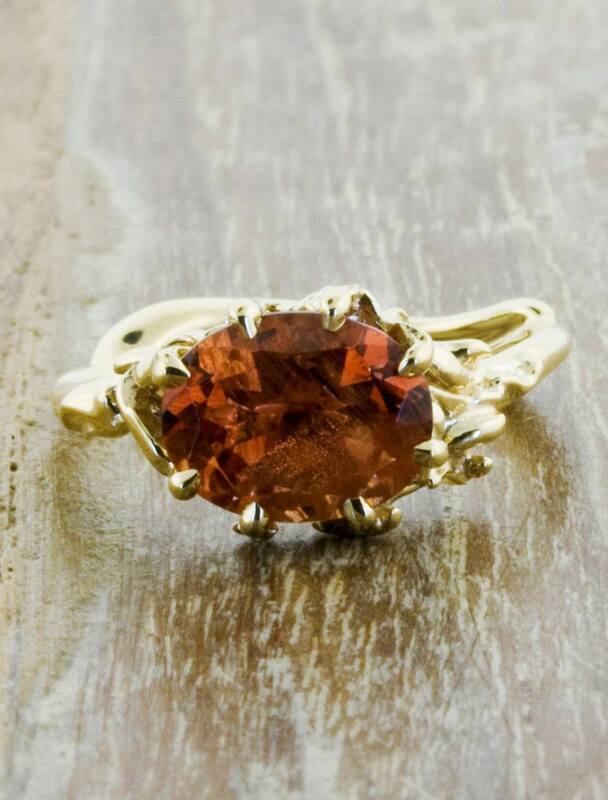 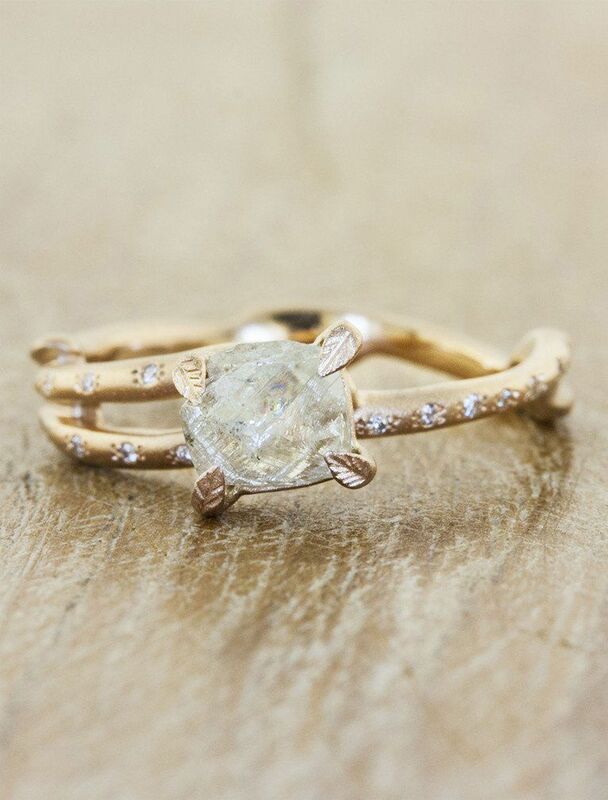 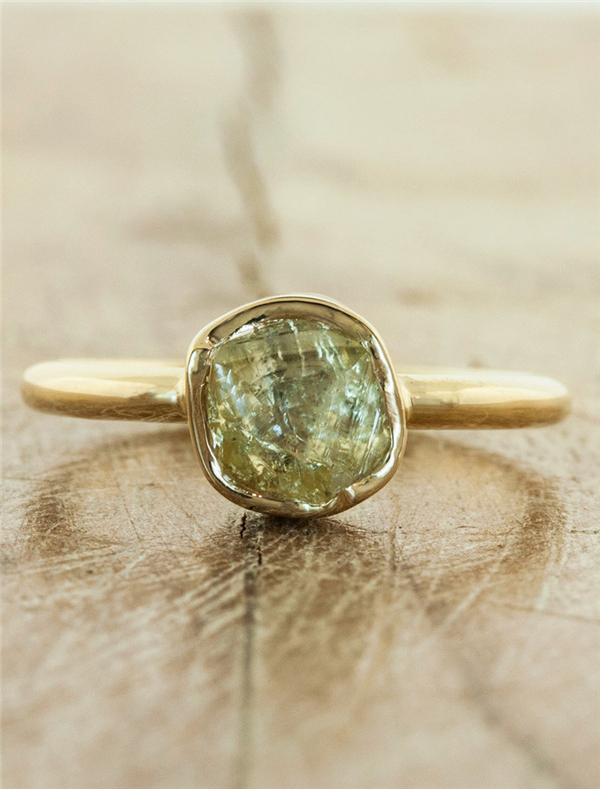 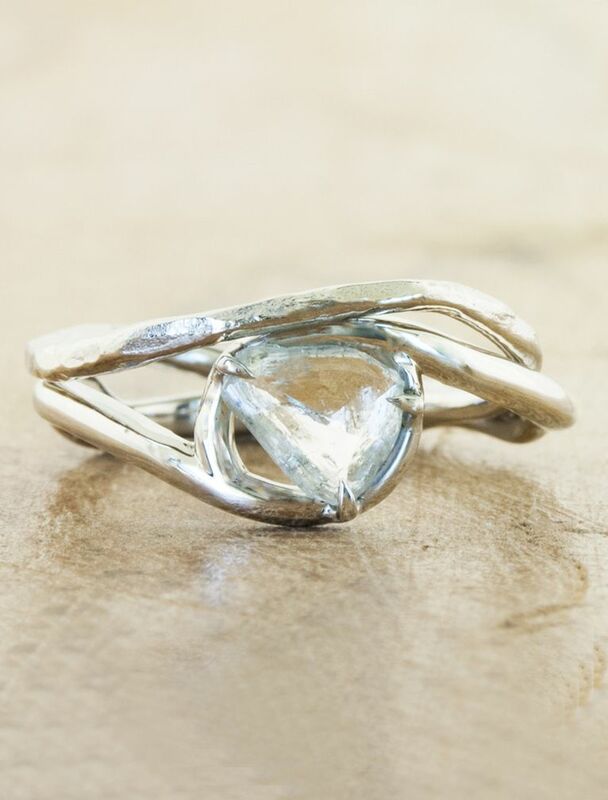 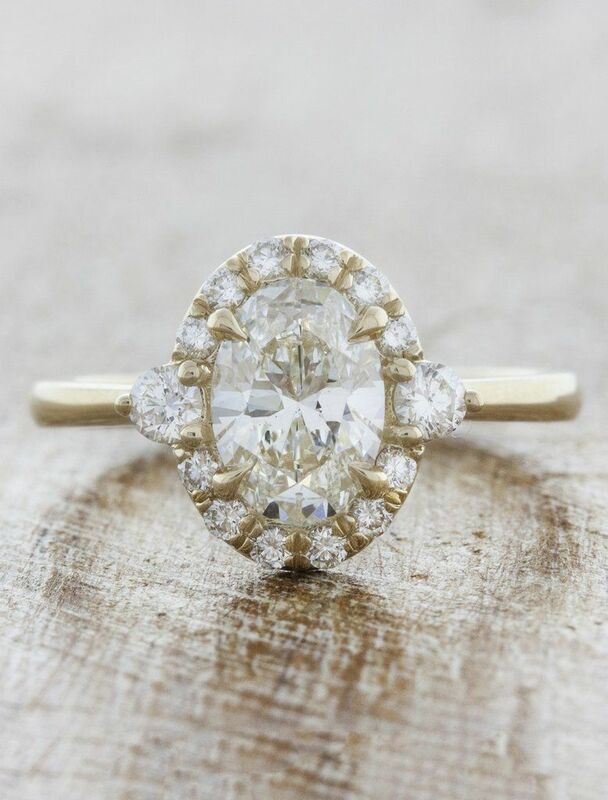 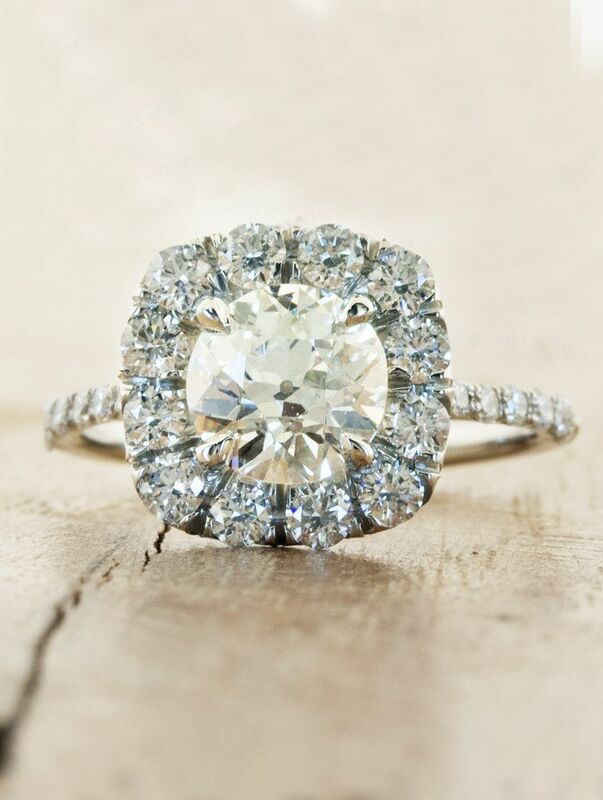 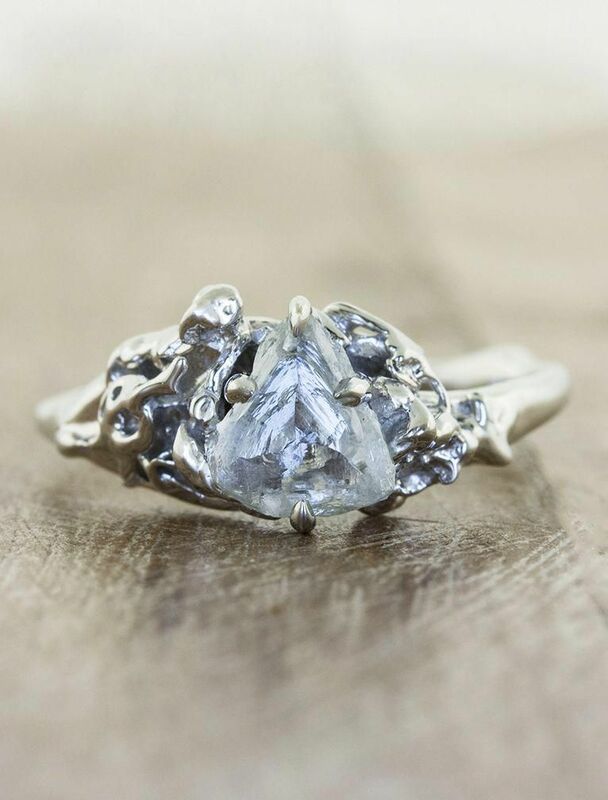 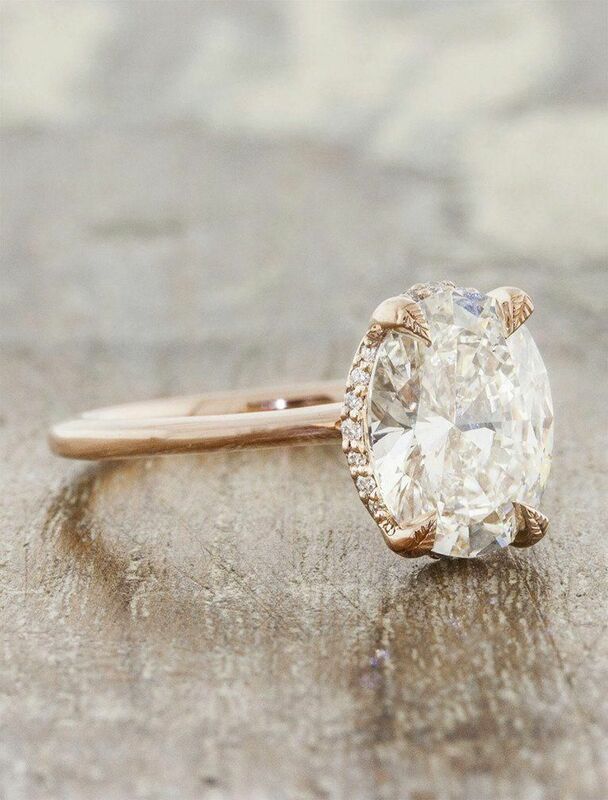 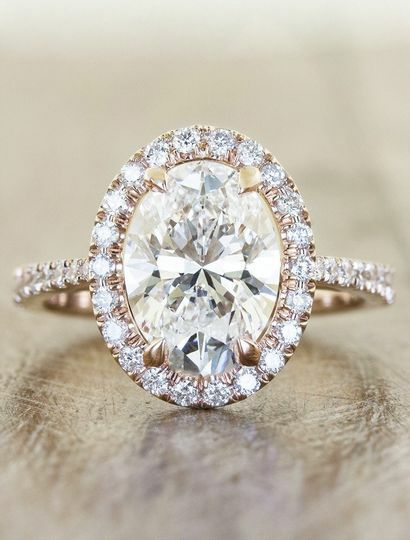 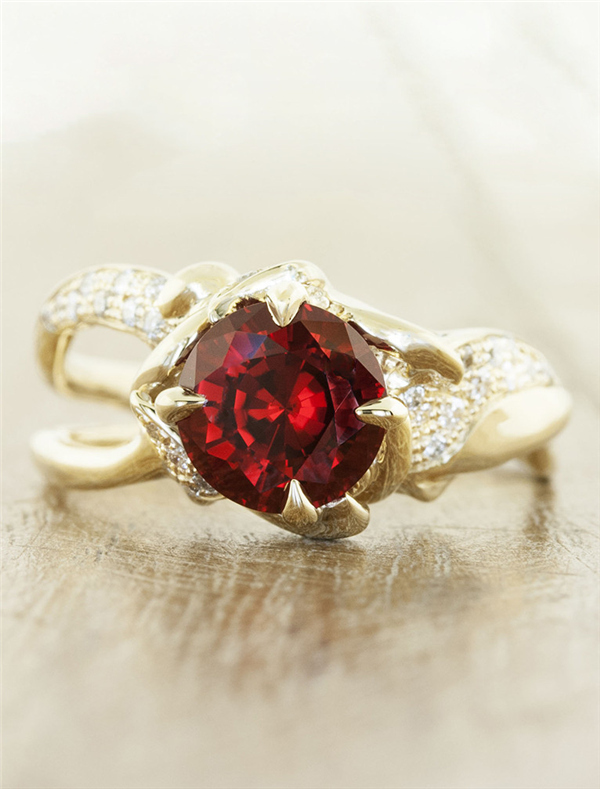 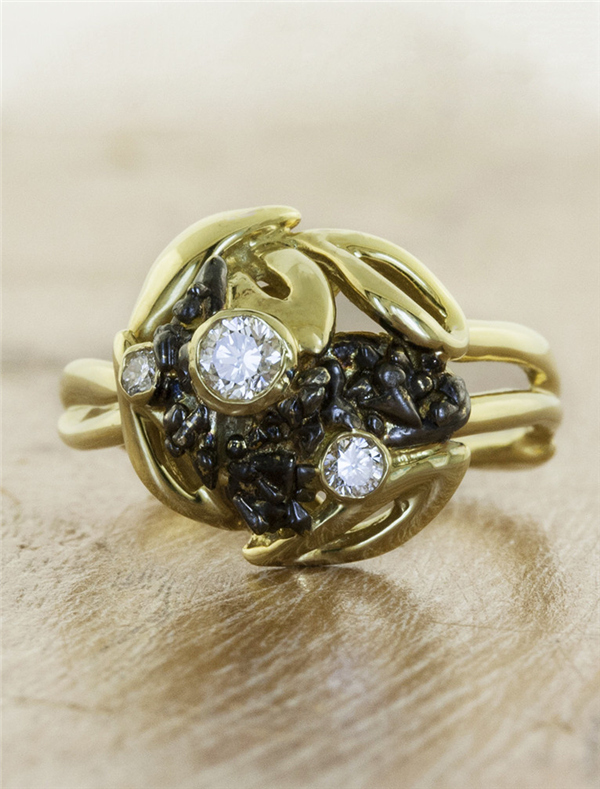 A rough, or uncut diamond engagement ring lends a unique and rustic look to an engagement ring. 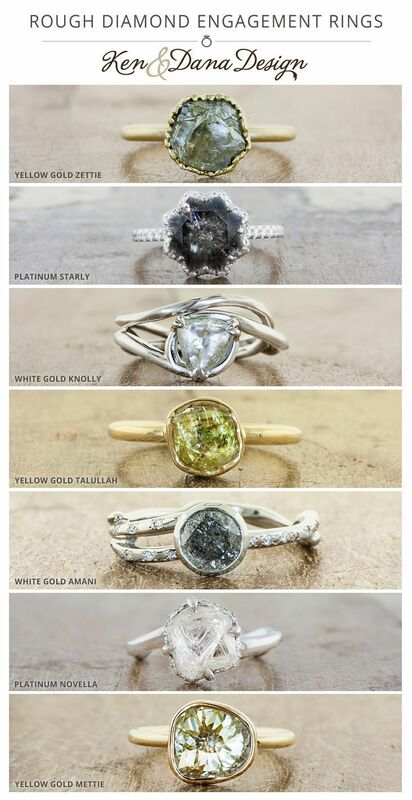 Custom rings by Ken & Dana Design.